Warner Edwards Victoria's Rhubarb Gin is a popular Gin available from 31dover.com in 70cl to buy online. Visit 31dover.com for the best price for 70cl of Warner Edwards Victoria's Rhubarb Gin or compare prices on our other Gin products. The latest addition to Warner Edwards beloved family, and a gin with real provenance. They have sourced a crop of rhubarb that was originally grown in the kitchen gardens of Buckingham Palace during the reign of Queen Victoria, and has since had quite a journey. Half of the crop was sent to the Vice Regal Lodge in Dublin, which later became the Presidents House. It has now made its way back to Crown Estate land in Lincolnshire, and is being organically grown by Fraser M Key. The remaining half left in the grounds of Buckingham Palace was destroyed during The War, which makes our rhubarb very special indeed. 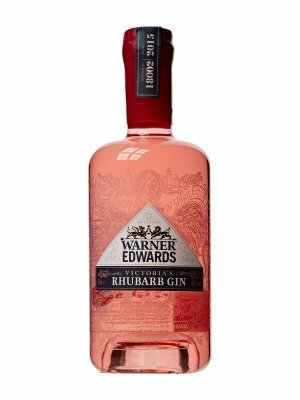 Where to buy Warner Edwards Victoria's Rhubarb Gin ? Warner Edwards Victoria's Rhubarb Gin Supermarkets & Stockists. You can buy Warner Edwards Victoria's Rhubarb Gin online in most retailers and find it in the Gin aisle in supermarkets but we found the best deals online for Warner Edwards Victoria's Rhubarb Gin in 31dover.com, Amazon.co.uk, TheDrinkShop, DrinkSupermarket.com, Waitrose Cellar, and others. Compare the current price of Warner Edwards Victoria's Rhubarb Gin in 70cl size in the table of offers below. Simply click on the button to order Warner Edwards Victoria's Rhubarb Gin online now.